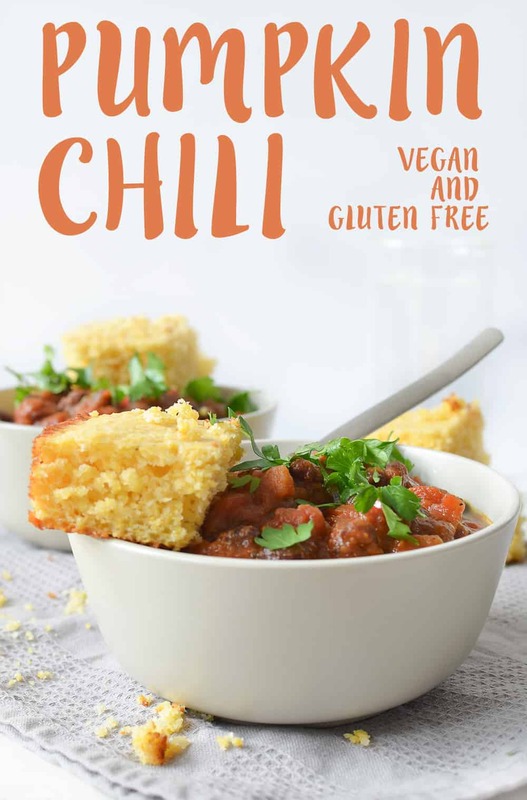 Vegan Pumpkin Chili! 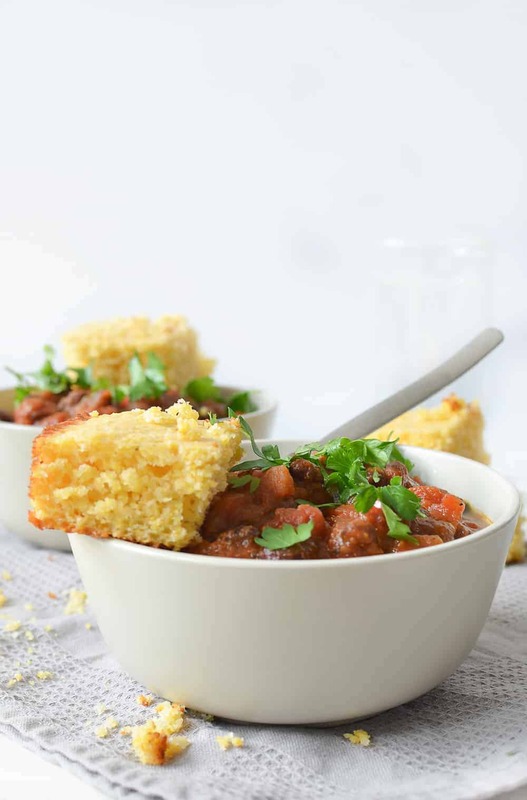 This spicy and savory stew is perfect for crisp evenings! Black beans and vegetables simmered in a rich pumpkin chili sauce. It wouldn’t be Fall without another chili recipe! Come on. I know you are excited about a pumpkin one. What is it about Fall that makes me think I can put pumpkin in just about everything? Probably the same mindset that makes me think I can make everything taste like curry, or eat pasta for every meal. In this case, it’s a spicy, black bean chili with a hint of pumpkin and nutmeg. It’s hearty, comforting, and all I want to eat the moment the temperatures dip below 65 degrees. 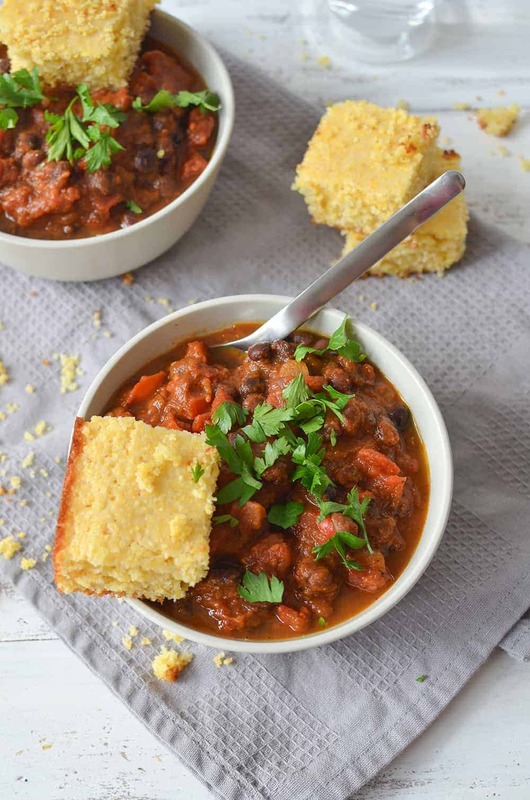 Chili for chilly nights! I’m going with it. This vegan and gluten free pumpkin chili is the probably the easiest meal on earth. Besides the peppers and garlic, all of the ingredients come straight outta cans. Open, dump, and simmer. Normally, I’d probably not love a recipe that starts with a can of this and a can of that, but for chili? It’s healthier than it sounds. You know I think that the world would be a better place if everyone ate more beans. 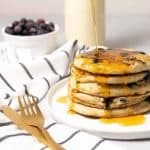 Not only are they pennies on the dollar compared to meat, they are such a great source of fiber, protein, iron and can help lower LDL cholesterol if eaten on a regular basis. Covered in a spicy pumpkin sauce, I’d say that’s easy as pie. Of course, chili is just a vehicle for whatever toppings your heart desires. 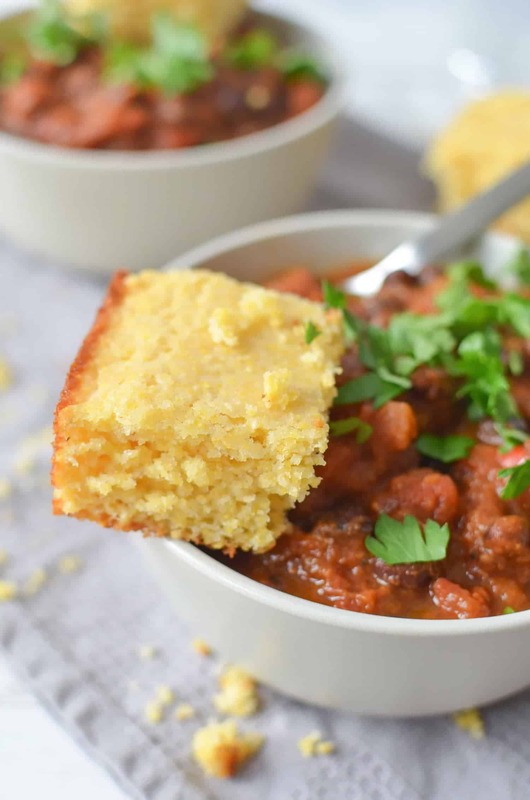 I got on a major cornbread kick last week, which actually inspired the need to make pumpkin chili. I tend to go to town on the chili toppings (avocado, cheese, hot sauce, more avocado) but decided to just enjoy this one with piping hot cornbread and call it a day. Sometimes simple really is better. Heat the oil in a dutch oven or sauce pan over medium heat. Add the onion and cook until translucent, about 5 minutes. Stir in the chili powder, cumin, oregano, cinnamon, and garlic cloves and cook another minute or two until the spices are fragrant, stirring often. Add in the fire roasted and diced tomatoes with juice along with the pumpkin puree and whisk to combine. Stir in the black beans, 1 cup water and salt and pepper. Reduce heat to low, partially cover and let simmer for at least 30 minutes, stirring often. The longer this cooks, the more flavor develops so feel free to make this one in the afternoon to let simmer for hours. Serve hot, with your favorite toppings! I love any type of chilli – this one sounds amazing, especially as I love pumpkin with a few spices! Pumpkin is all the #rage, naturally it should show up in chili! Love this! Reminds me of a chili you made I think last year with an IPA… but pumpkin, now I can get into this! Love it! The combo of fire roasted tomatoes and pumpkin sounds so great! Looks delicious! I love pumpkin in savory recipes. this looks so comforting! i have to try this soon. Seriously, I was totally thinking of making a chili yesterday! 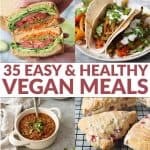 I have just about all the ingredients listed here, so I’ll have to add it to my list of recipes to try! I was wondering if the fire roasted tomatoes are diced or crushed for this recipe? Thanks! Hi Brenda, they are the diced ones. I’ll clarify that in the ingredients now. Thanks! 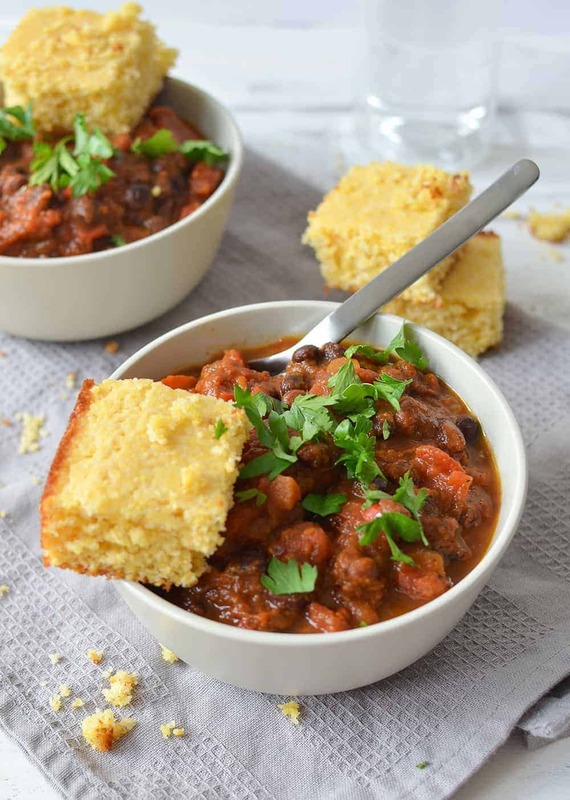 I’d love to have that “beautiful” cornbread recipe to accompany my chilli!!! This was freakin’ awesome! I found this recipe on Pinterest, and I made it tonight for me and my parents. I followed it exactly, except I added an extra red bell pepper and 3 small zucchini (that I cut into semi-circle shapes) that I had in my fridge. I served it with my own cornbread recipe. This is a total keeper, thank you bunches!! Hi Lisa- yes! Make a double batch- one to enjoy now and one to freeze for later!